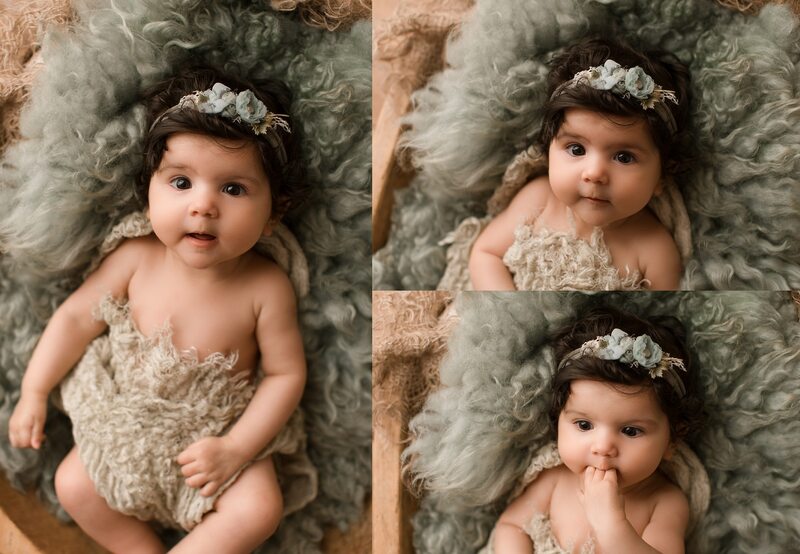 If you have missed capturing your little one when they were at the Newborn stage then you already know how fast time passes and how much your little one has changed! 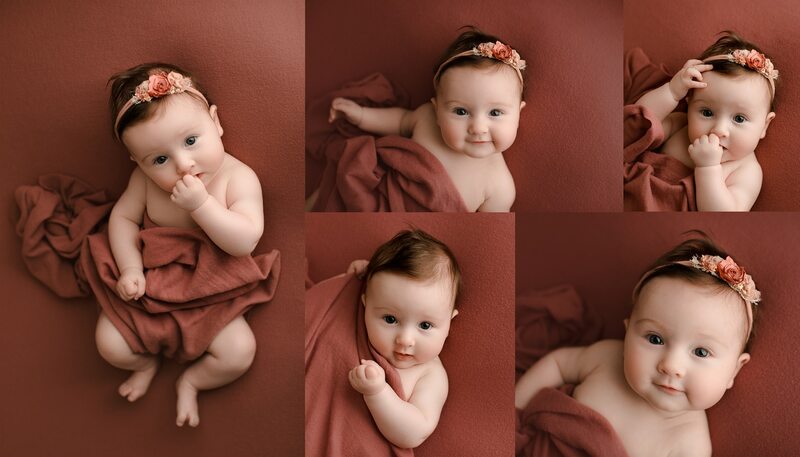 The three main notable ages that work well to photograph are around 4 months, 8 months and 12 months of age. These ages cover laying down/tummy time, sitting up and standing up and it is always worth planning your session around these ages. 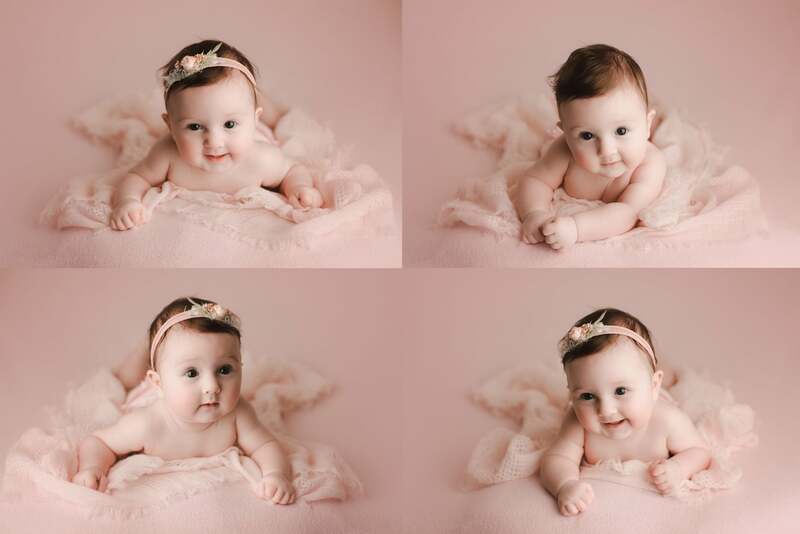 We offer a baby club which does cover all three of these ages or you are welcome to visit us for a single visit with your baby to mark a special milestone in their growth. 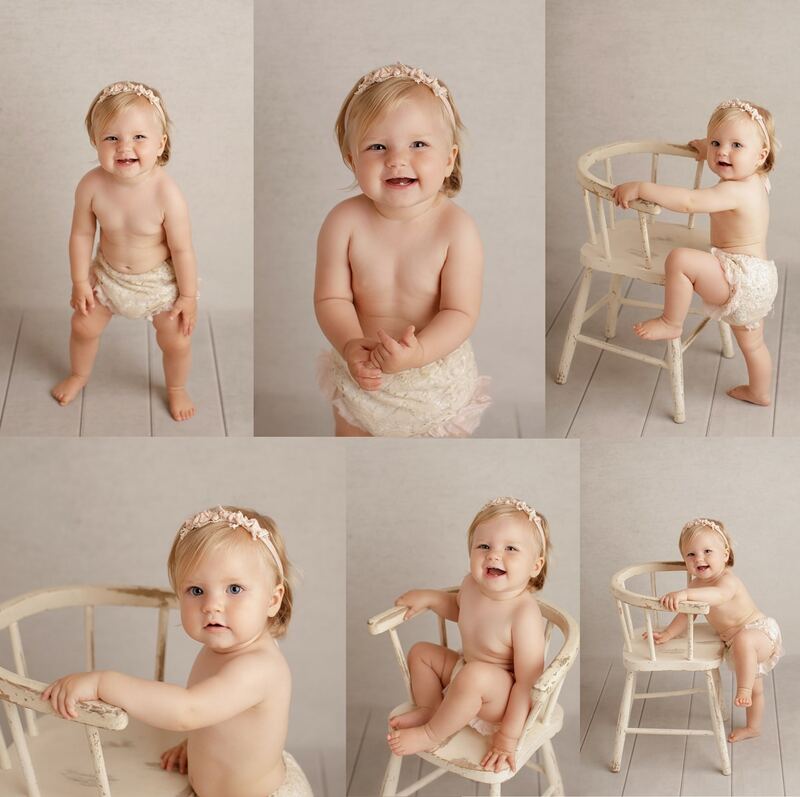 Your baby’s photo shoot will not be a cookie cutter experience as all babies are different. 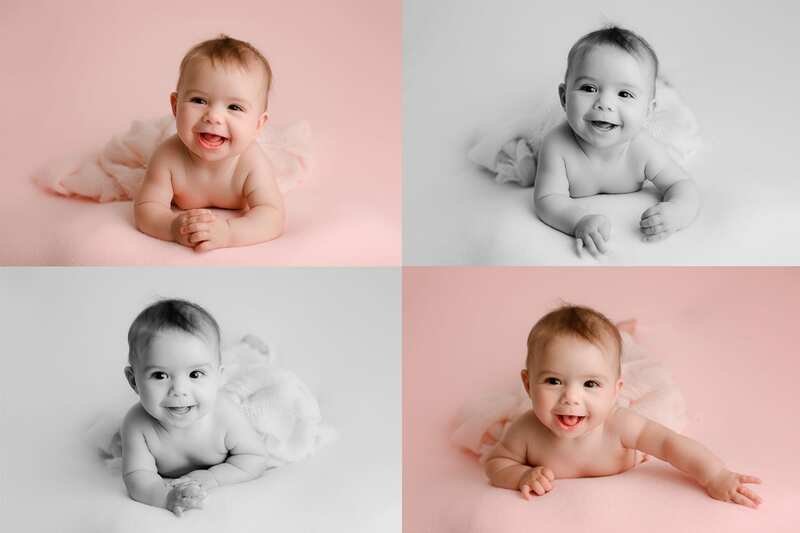 We love to make each session individual to your baby and with your input select colours and props that compliment your baby. 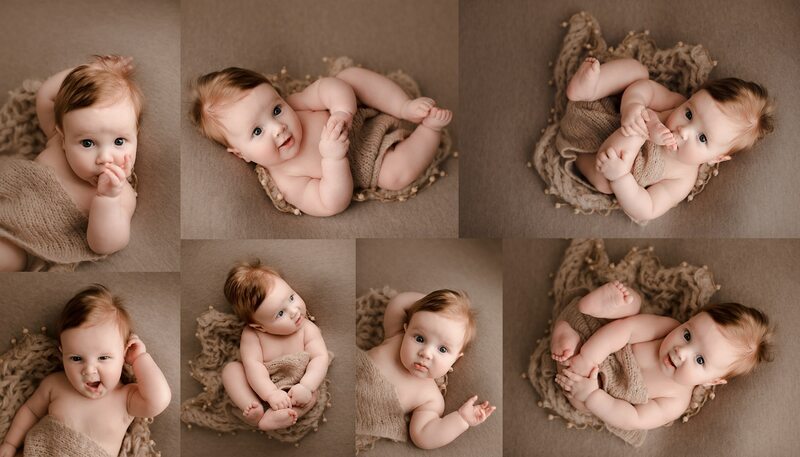 Imagine having a series of gorgeous photographs that truly capture the memories of you baby’s first year. Your babe in arms today will become a toddler before you know it. That’s why thousands of parents are part of our Baby Club, now in it’s 25th year! 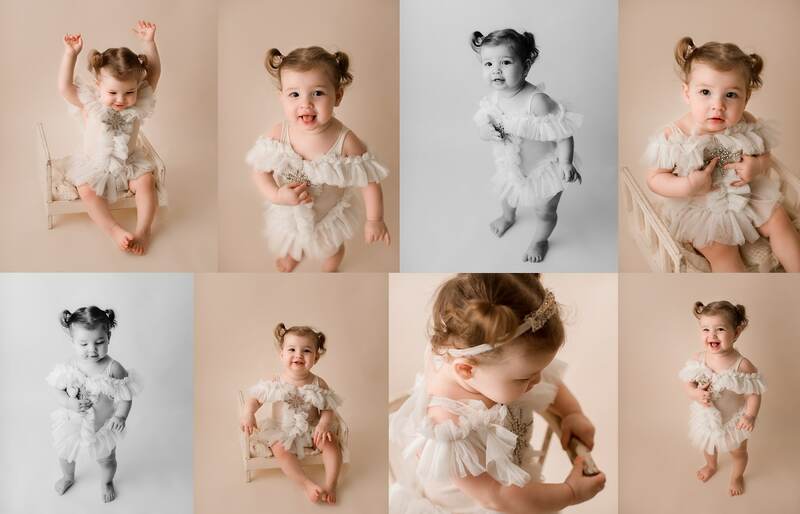 * Three studio photo shoots over baby’s first year. * Starts at 3-4 months, then 7-8 months and lastly 12 months. * Your favourite image from each session presented in a beautiful triple folio. * Special discounted price list to choose additional images. 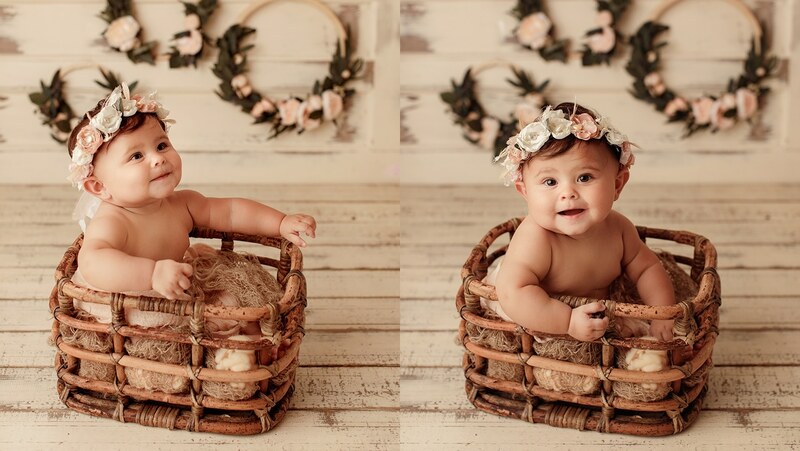 Just want your baby photographed now, then a single visit is what you want. 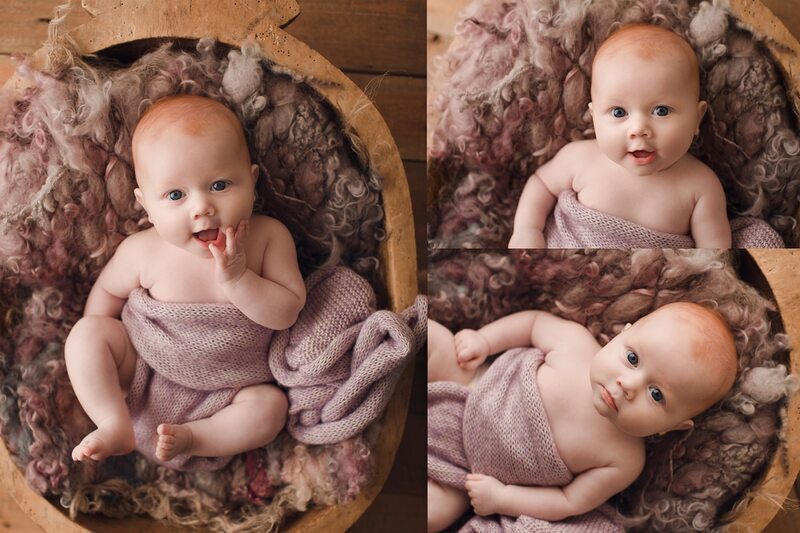 For just £35 you will receive up to an hour in our studio, carefully photographing baby at their pace, producing timeless images. Also included is an 8″ x 6″ ready to frame print of your choice. We care about making your images as good as possible and this takes time and care. 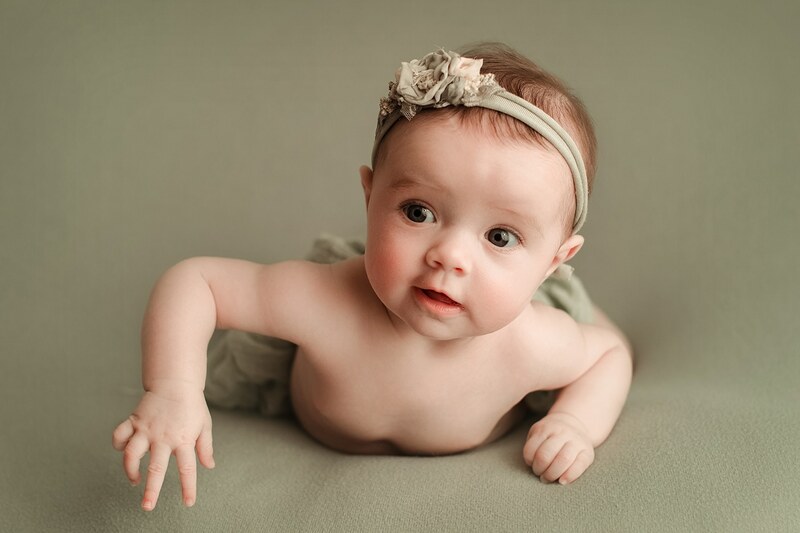 We have a wealth of experience photographing babies so you and your little one are in good hands! 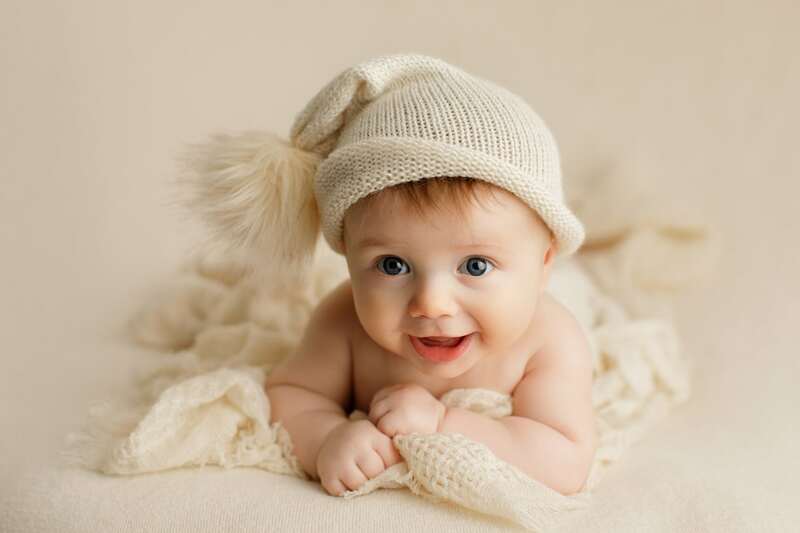 To join our baby club for £75, 3 visits, or for a single visit for just £35 please give us a call (01795 426856) or purchase a voucher below and it will be posted to you within 48 hours.